Most people believe that getting referrals is something that just happens, that all you need to do is just turn up to networking events, do a good job with your clients or customers and be part of a referral group. This could not be further from the truth and you are leaving so much money on the table. There are plenty of things that need to be done to get referrals, but the biggest impact and instant results come from creating your own referral teams. A referral team is a group of people that are helping you to generate new business each day. They want to help you because you want to help them, I see them as part of my sales team, but without having to pay them as a sales person. For most people ‘Referral Teams’ will be a whole new concept, however in some way you have already been doing this, but without the structure or process, we are about to put in place. My referral team is a group of people who are out there each day creating new opportunities for our business. They are opening new doors for us, giving our business new exposure, filling our sales funnels and promoting our products and services whenever they can. Just imagine what having 66 people promoting your business every day would do for your business? There are 5 different groups of people within our referral teams, they are all as important as one another and all play a role in generating new business for you. First, there are Profitability Partners. This is your A team, the people who have similar networks to yourself and people you really like and trust. You can have up to 6 profitability partners, any more and you will not have the time to help them. This is a 1on1 conversation between you and your partner every week. The phone call should not last more than 10 minutes and you go through and strategize how you can help one another. 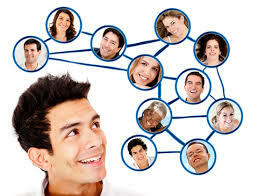 Most people are lucky if they talk to their referral partners every month, let alone every week. With constant communication, constant strategizing and constantly being front of mind of one another, you will be amazed how much business you can pass each other. Next, there is your Super Group. Your super group is up to 8 people that come together once a month. With technologies these days you can do this face to face or via webinar, zoom or some other conferencing platform. Your super group is about all 8 people sharing their networks, sharing their clients and customers and creating new opportunities for one another. Your super group needs 8 people (including yourself) that all sell to the same type of person but sell something different. For example, a marketing person with a graphic designer with a HR consultant with an IT consultant with a web developer. They all have the same client and all sell something different. Next is your Cross Promotion partners. Doing cross promotions is the quickest way to grow your business and it is so simple to do. A cross promotion is simply I promote someone to my network and they promote me to their network. I know to get to be in front of all these potential clients who sit in another person’s network. Doing cross-promotions could be sharing content, video’s, webinars, live presentation, pdf’s and the list goes on. To set up a cross promotion all you need to do is just ask someone that has a similar network to you if they would like to cross promote. I believe if you have 12 cross promotion partners then you can do 2 a month. Trust me that is a business changer! Next is our Content Distributors. There is no point putting up content on social media unless it is being shared into new networks by other people. Most people just ‘hope’ that someone will share their content, I ensure that people do by making them content distributors. Every month I ask people if they would be happy to share my content if I shared their content. Every month we have 20+ people sharing our podcasts, webinars, articles, video’s and that allows us to build a following and reach thousands of new people every month. This is all done through other people’s networks. If you start with 20 content distributors you will start to reach new networks, pick up new clients and customers and create a strong following. Finally, is our Affiliate Partners. This is the only group of partners that get paid for creating a sale for us. Every other type of partner is helping me because I’m committed to helping them. Affiliates are happy to sell your product or service for a commission when they make a sale they get paid. For most people, they don’t use this type of partnership correctly and they often fail. The key is great communication and building the relationship. With 20 affiliates, 20 content distributors, 12 cross promotion partners, 8 in your super group and 6 profitability partners you know have a team of 66 people who are out there creating new opportunities for your business. Referral teams don’t get built overnight, you need the right sorts of people and you might have to talk to hundreds before you get the right team. I know I am always looking for people who have the same mindset and values around partnerships, who have similar networks to myself and who have the desire to help one another. Without these, your referral relationship is going to fail before it has even started.